A little over a year ago 5th Place launched Shape of Emotion. We are celebrating it's first birthday and you're invited! It has been one year since we launched Shape of Emotion as a tool to manage emotions and regulate feelings. So much has transpired in this year and we would like to honour you for being part of our journey. 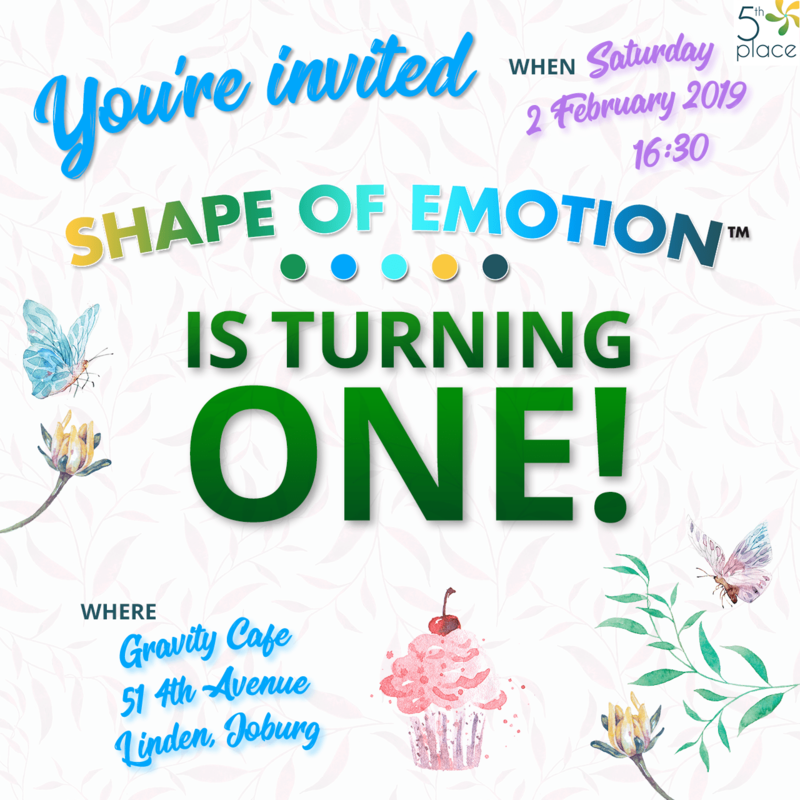 Please join us to celebrate Shape of Emotion's 1st birthday on Saturday 2 February 2019 at 16h30 at Gravity Café, 4th Ave, Linden (Johannesburg). Come for canapes and cake, good conversation and community building. (Cash bar). 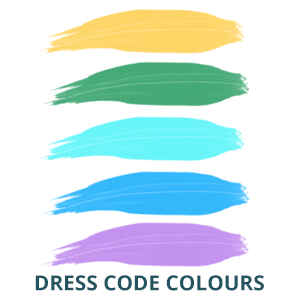 Dress in one, some, or all of our colours: Yellow, green, turquoise, blue and purple. Come ready to connect with a group of like-minded people and build a network of possibility. Say Yes!